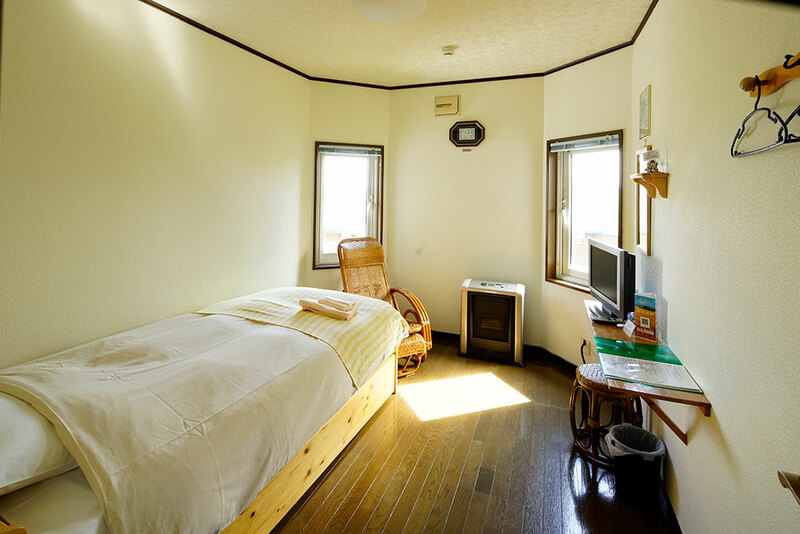 You can overlook beautiful hill and mountain from each room.The rooms offer a stunning 180-defree panoramic view of mountains and hill around Jacatra.You will be amazed by our Japanese styled bathrooms. We have 1 outdoor big bathroom (open from May to Octber) and 1 indoor bWig bathrom (open all seasons). They are artificial hot springs that useing the same infredients as natural hot springs. 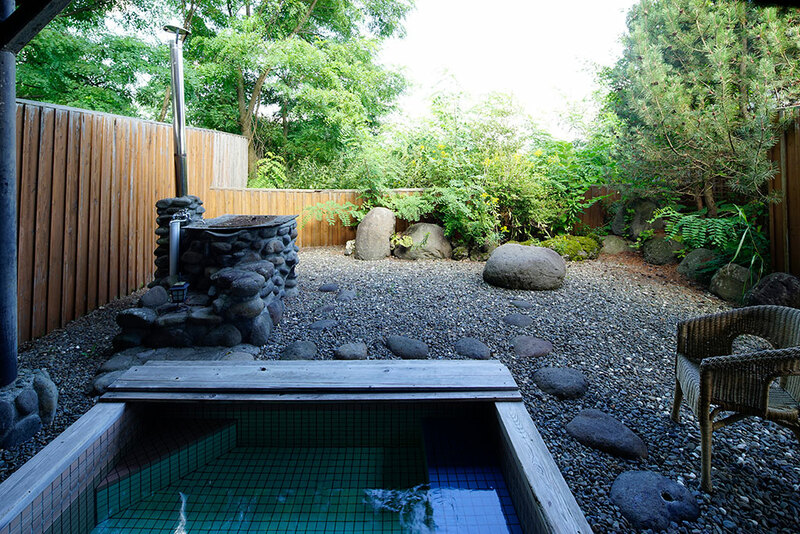 You will get the same health benefits as if you are useing a hot spring ! 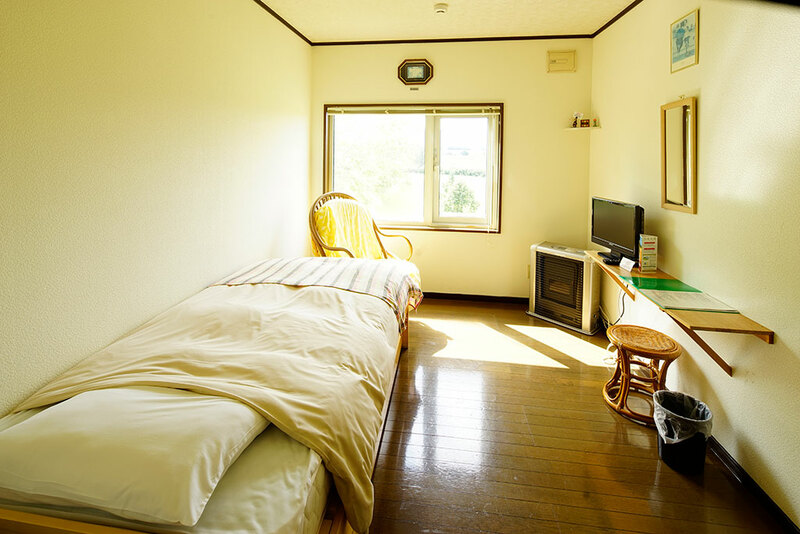 ※ You can choose a room for 3 people If you only have even 2 people too . 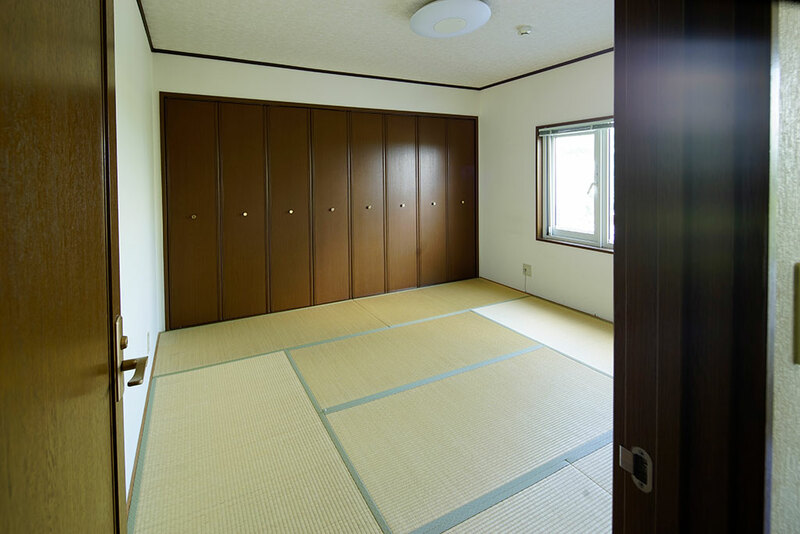 There is no bathroom, toilet, and air conditioner in each main house guest rooms. We have 4 cottages locatied around the main house. 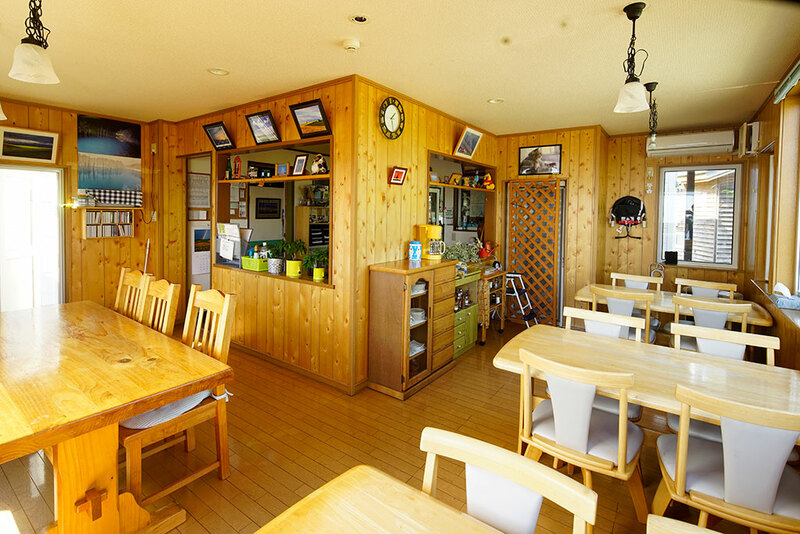 Cottage A :Maximum 2 people use, with bathroom and toilet. Cottage B : Maximum 5 people use, with toilet . 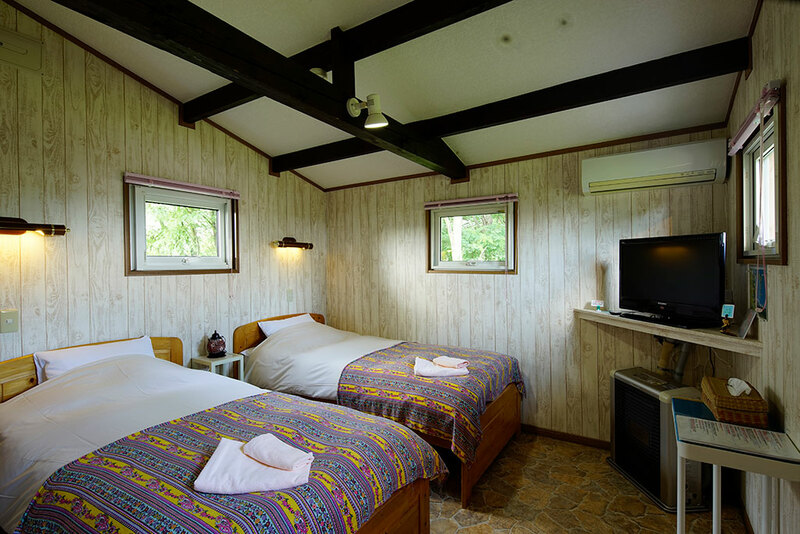 Cottage C :Maximum 5 people use, with bathroom and toilet. Cottage D :Maximum 4 people use, with toilet. 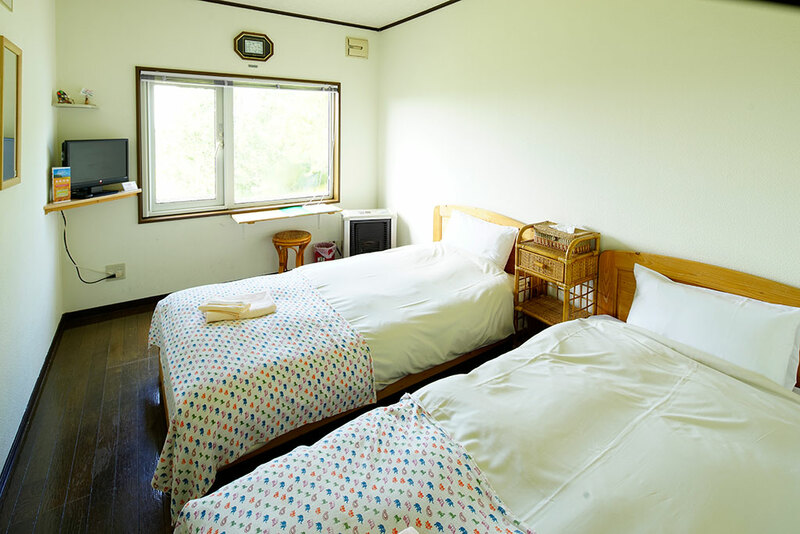 Toilet , refrigerator , hair dryer,air conditioner and fan are available in all cottages but bathroom is available in cottage A and C only. Cottage guest can also use our big bathroom to take a shower. 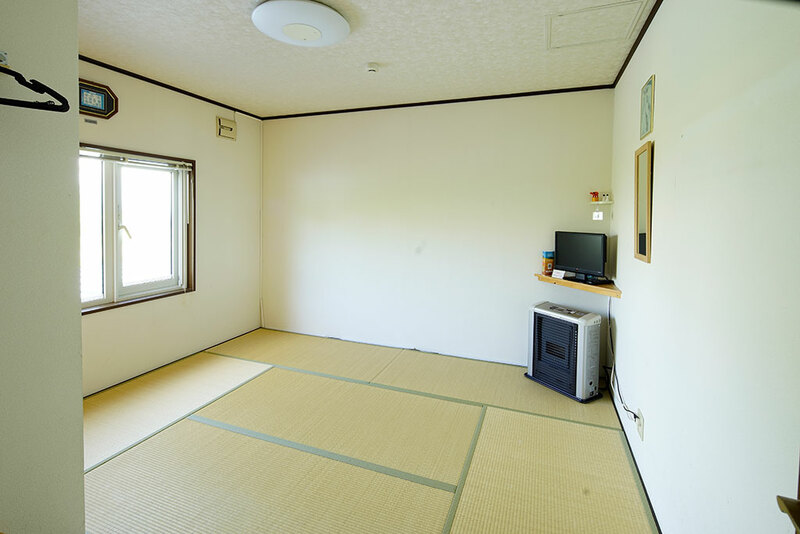 However there is a fan provided each room. It is enough for summer season in Hokkaido. 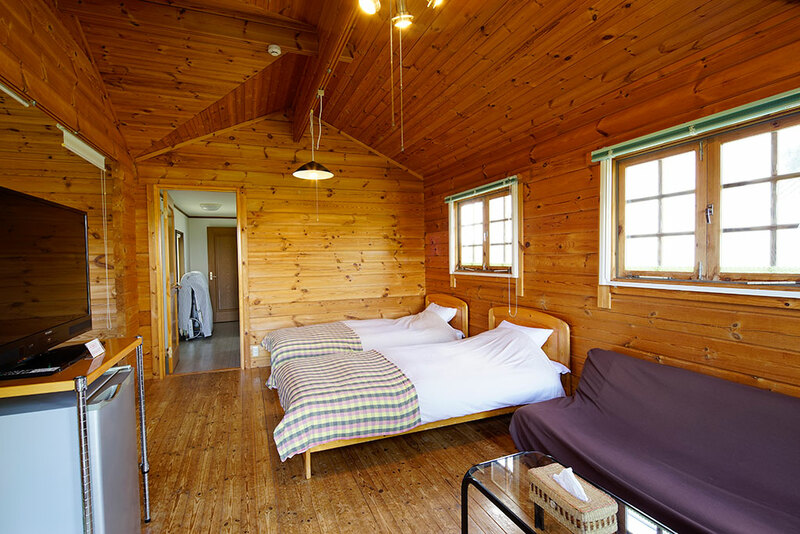 Please experience the natural wind and county life style in Hokkaido ! 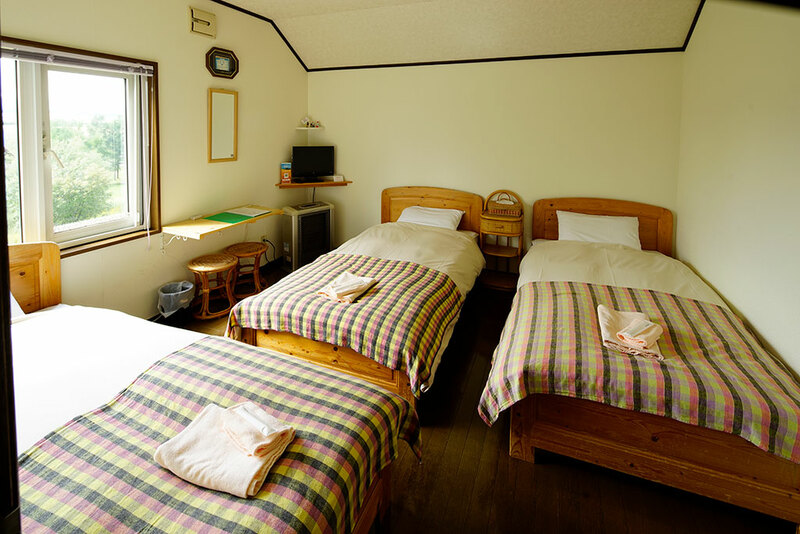 ※ You can choose cottage C (for 5 people use) If you have 2 people too . 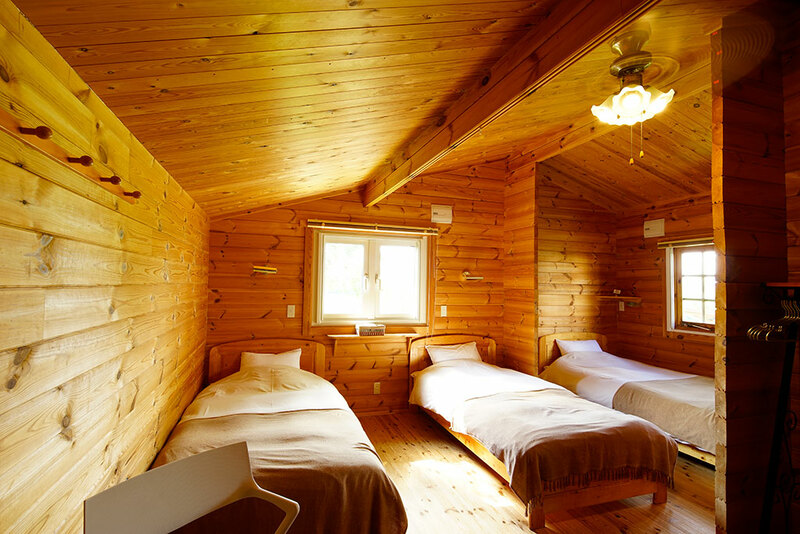 However , during peak season we have minimum guest requirements. (please check details on our reservation form). Free Wi-Fi is available 24 hours in all main house guest room and Cottages !! Sometimes little wi-fi catch Cottages . 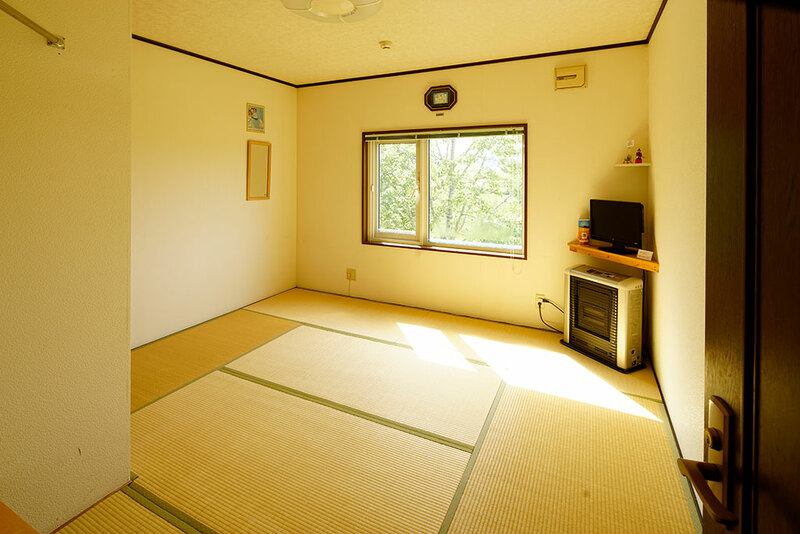 Outside and inside private bathroom are available 24 hours.Outside bathroom is closed during winter season . Inside bathroom is always open . Please lock from inside when you are using the bathroom, so nobody connot enter when you are using it. 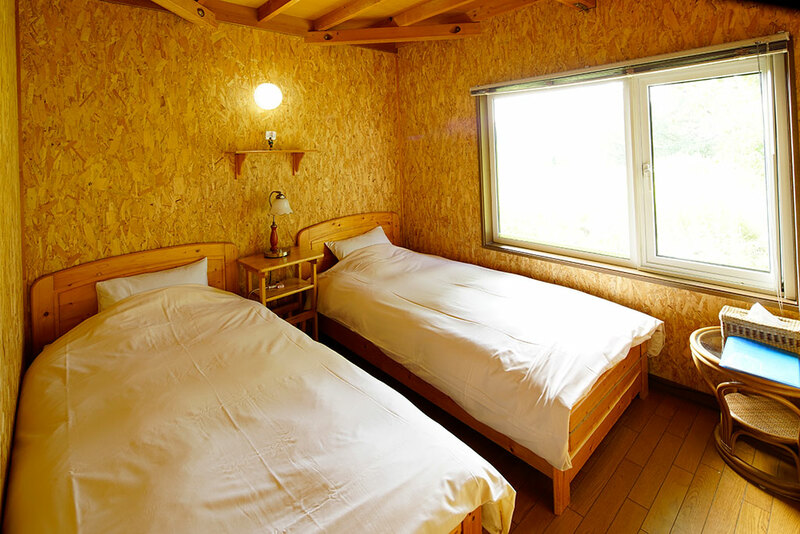 When you use the indoor hot spring and after use it, please make sure you close all the doors completely to prevent water vapor come out. Please take a shower in shower spots before you go into the hot spring . There are 2 shower spots. Shampoo, conditioner, and soap are provided. Hair dryer is available in the change room, please feel free to use. You can use the hot spring by yourself , with your partner, friend or family members. No booking is required but you may have to wait for a while when it is in use. After use, please make sure you have turned off all the taps and electricity to prevent wastes. Our bathrooms are artificial hot springs the using the same ingredients as natural hot springs. 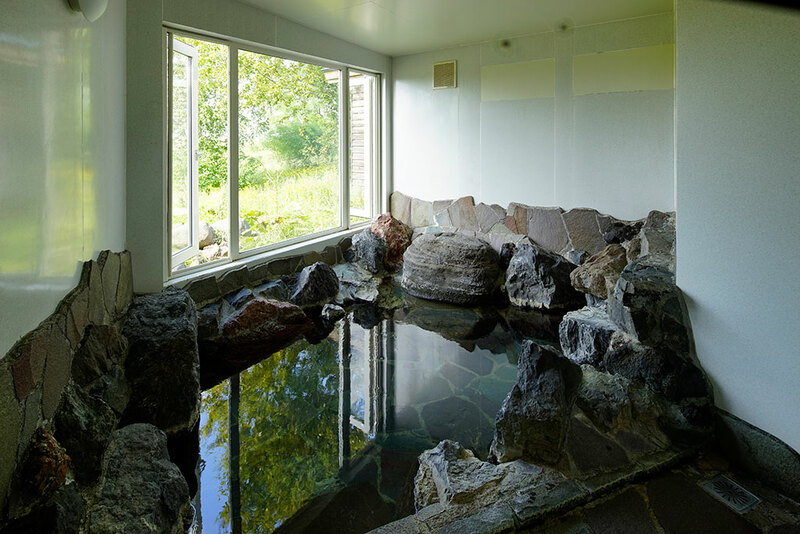 You will get the same health benefits as if you are using a real hot spring!